Gizmodo's new Norwegian correspondent SilverSnake sends shocking—shocking!—news about Microsoft's Xbox 360 retail marketing demands. Retailers in the land of King Herald V are each being alloted a supply of 20 consoles, 6 core editions and 14 premium versions. But there is a catch: In order to get all of them, each shop or chain has to sign an agreement saying that they will sell out of all 20 consoles on the release date (which is December 2 over there). On top of that, the retailers must agree to sell a minimum of 2 games per console. "Microsoft Norway even said them selves that they're gonna use the 'Sold Out' as a marketing strategy to hype the console." Although the exact numbers are no doubt different for American and European retailers, similar tales of this Microsoft marketing/strong-arm strategy are likely to hold fast around the globe. 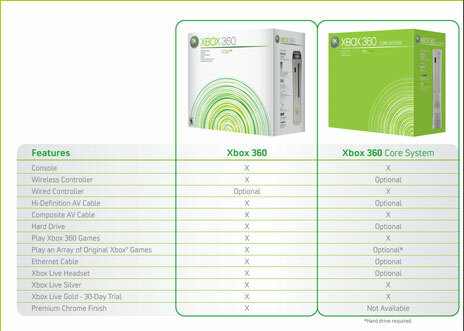 I've been hearing rumors that the Xbox 360 will only be available in bundles with a set number of games when it goes on sale here. This tactic is not new—I'm pretty sure Sony will do the same thing when it launches the PS3 too. And there is nothing like a sell-out to generate publicity (even if it requires slowing the production line to ensure a shortage). Mighty interesting to get a first-hand account from an irate shop owner. Thanks SilverSnake!